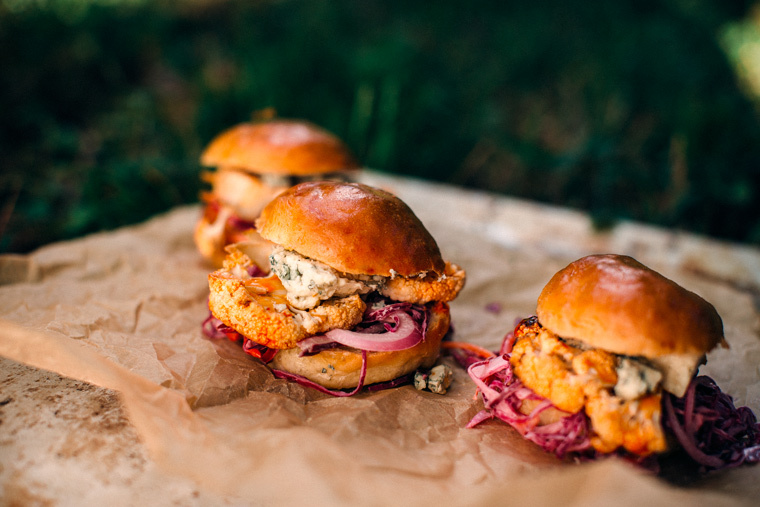 These cauliflower sliders are inspired by my one of my favorite charlotte area food trucks. They catered our sweltering company picnic this summer, which already feels like ages ago. I’ve made this (super savory satisfying) sandwich several times now, sometimes swapping the bread for a big pile of greens. 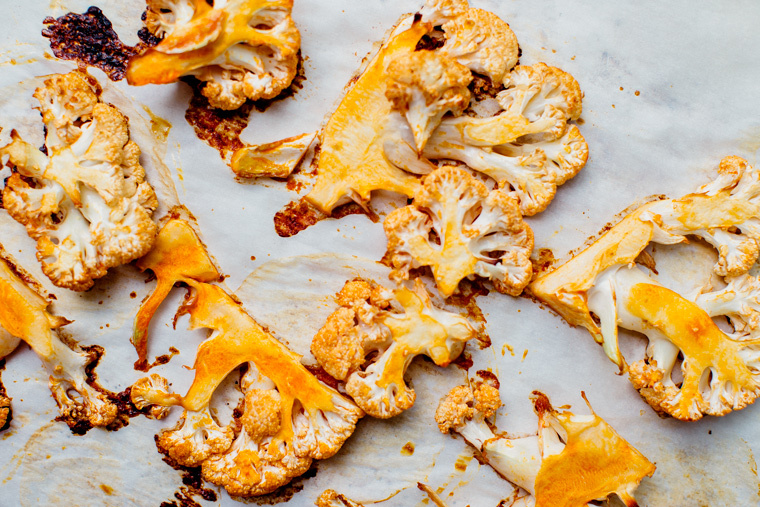 Wash, dry and slice the cauliflower. In a saucepan or in the microwave melt the butter together with the rest of the ingredients. 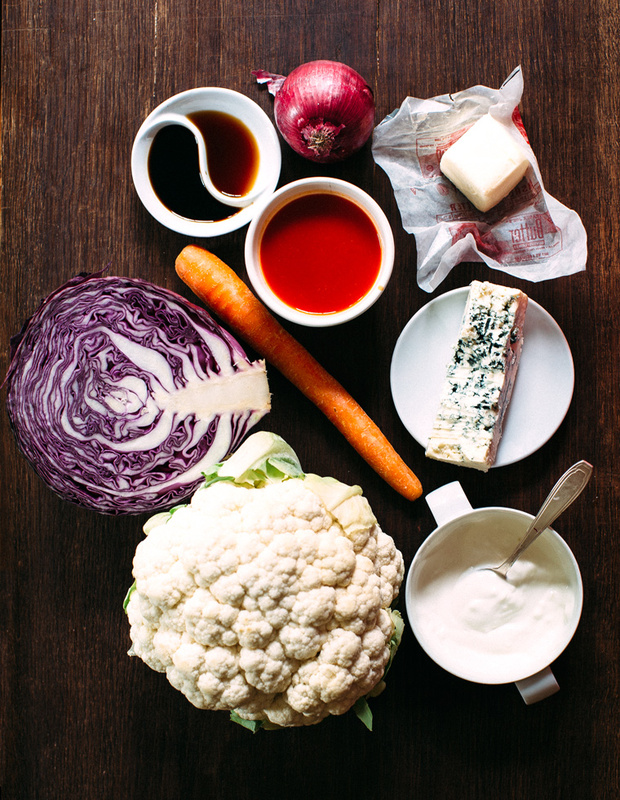 Toss mixture together with the sliced cauliflower to coat. Bake in preheated oven at 400F for 15 minutes or until golden brown. 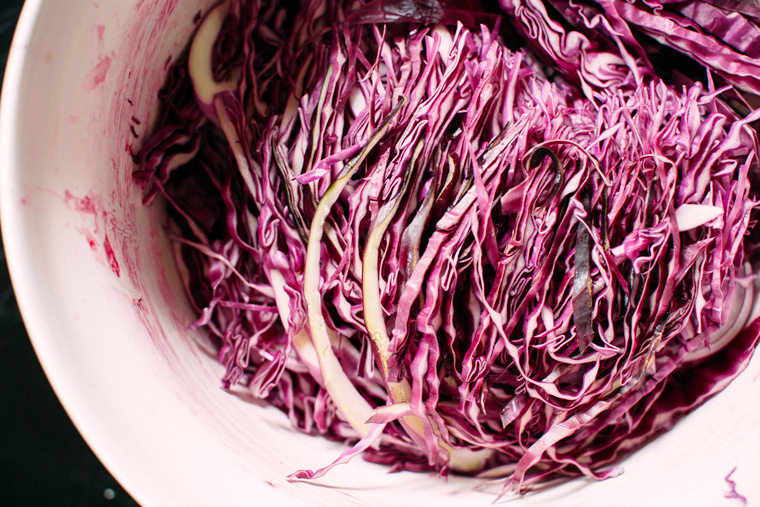 While the cauliflower roasts make the slaw. 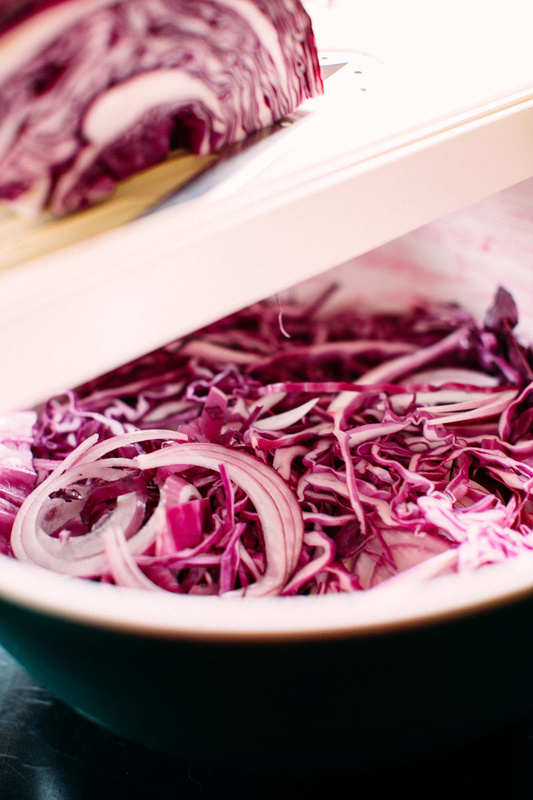 Shred the veggies and mix together the ingredients for the dressing. 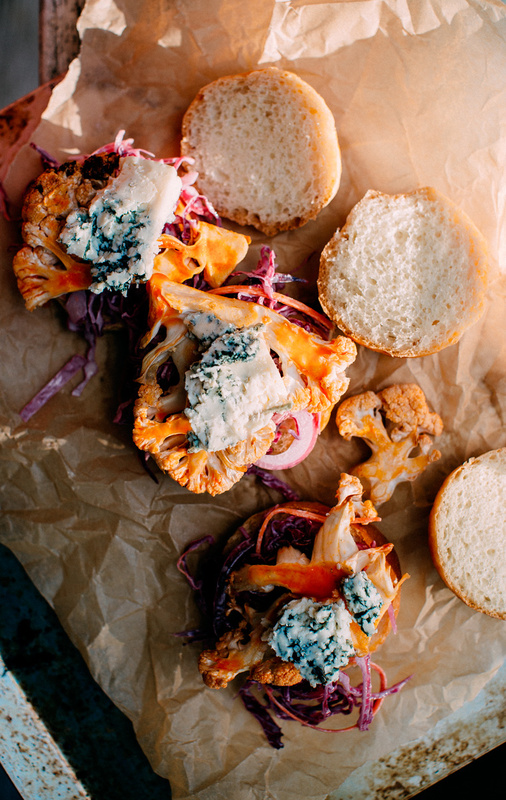 Assemble sliders with nuggets of cauliflower, slaw and blue cheese. I used this recipe for the buns and just used a little less sugar and skipped the cardamom. 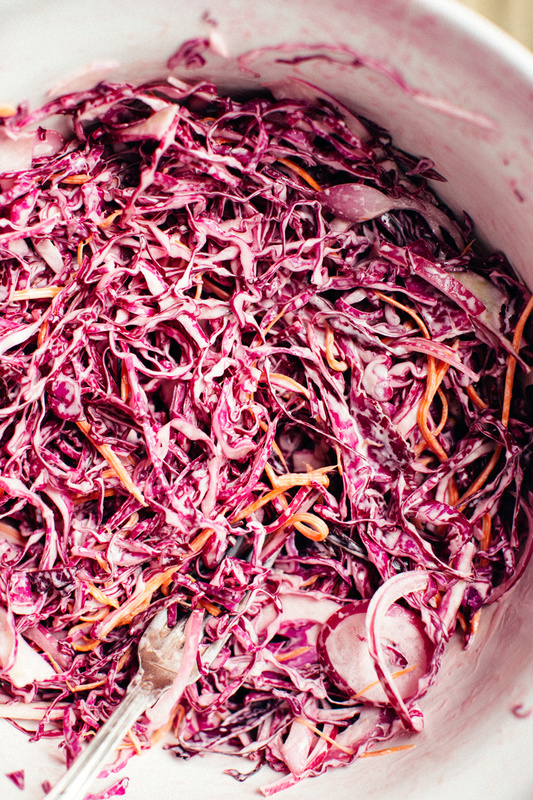 This slaw would also be really good too if you have any peaches left! 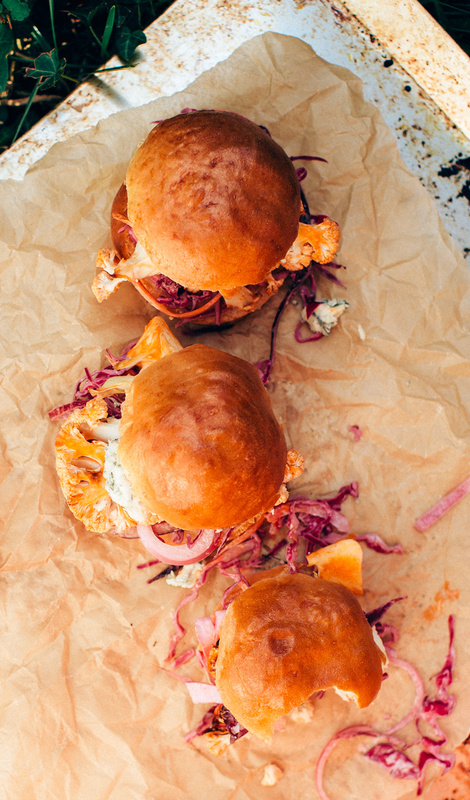 These sliders seriously speak to me. 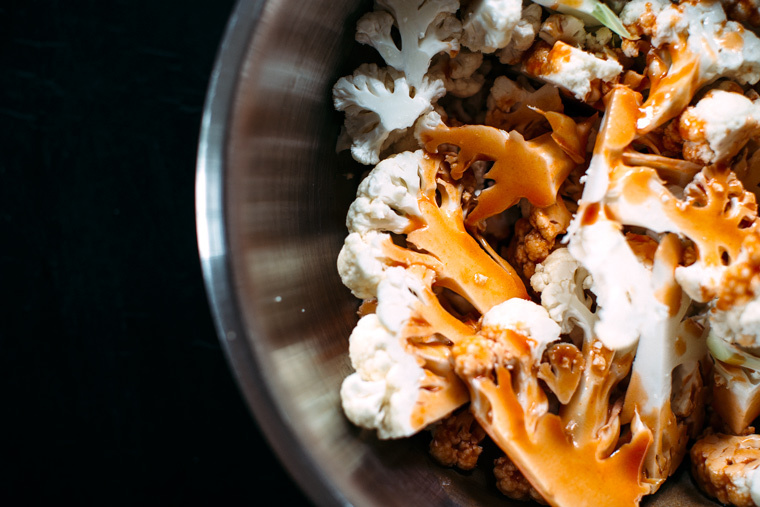 I love buffalo cauliflower!! 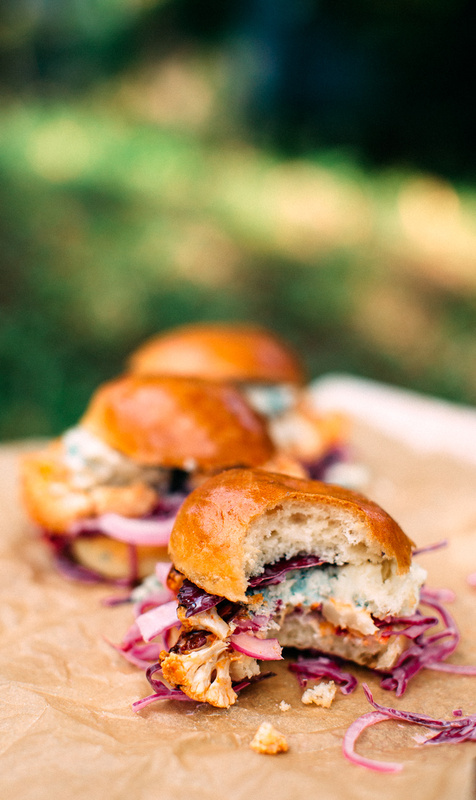 And this whole sandwich sounds dreamy! Yumm! Everything you make looks so good! Oooh this looks amazing!! I’ve made cauliflower “wings” before but never sliders! So creative! 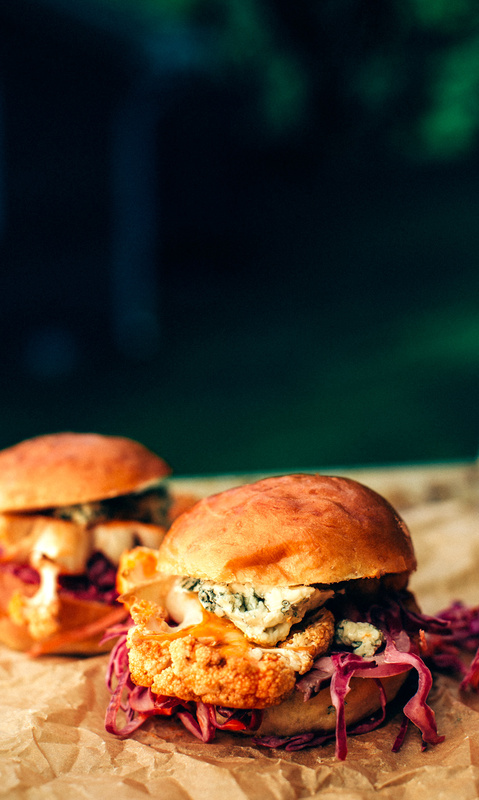 OK, I definitely need to make these sliders!